Are you looking for ways to improve your blog’s visibility and performance? Perhaps you’re struggling in driving consistent traffic from your target audience. Or maybe you’re not generating desired engagement such as likes, shares, comments or enough time spent on your content. With close to 3 billion active users, having a strong presence on Facebook is crucial to connecting with today's consumers, generating new leads and clients for your business, and bringing more awareness to your brand. You see, regardless of your industry, your customer is on Facebook. The key is ensuring that your inbound marketing strategy is effective towards consistently growing your social media following, boosting engagement, and getting people to take action (by either clicking on your link or opting into your list). We’ve gathered five practical ways to better your Facebook marketing to help build your credibility, boost engagement, and improve results in your overall inbound marketing strategy. Facebook groups are perfect platforms that allow you to build a community around your brand and keeping like-minded people connected. By fostering conversations, you’ll breed brand loyalty, encourage feedback from customers, and inspire users to engage with others. It's also an opportunity for members to ask questions and get quick responses from you…further humanising your brand. Creating and maintaining an active social group will do wonders for your marketing. Sharing your quality-rich blog posts offers value to your audience while driving traffic to your website (thus improving SEO ranking). Offering exclusive promotions and discounts to your group elicits new and repeat sales from social. Finally, by hosting contests, you can ask current members to invite their network, further increasing your exposure. The key is to make it an interactive environment to keep people interested in your content. Social media management tools like Hootsuite and Buffer are absolutely vital in having a consistently active presence on social media. From scheduling your content in advance, providing social analytics, sharing the best times to post, responding quickly to customers and social monitoring, these tools are extremely useful in managing your social content so you get optimal results. You’ll boost productivity for your team while staying engaged with your followers. There are a plethora of social tools where you can test and discover which best fits the needs of your organisation. Review the features and see which one aligns with your goals. With your choice, optimise your social media marketing by planning and scheduling your content in advance to keep your page live! Influencer marketing is a big hit and can catapult your presence online when done correctly. Building relationships with industry leaders positions you to leverage their large audiences in increasing your brand awareness. However, it’s a partnership…and it doesn’t happen overnight. Influencer marketing must be done in a way where you create winning situations for everyone involved. One way to capture the attention of influencers is to regularly engage in their content. Like, comment, and share their content with due credit. In time, they’ll begin to notice your involvement and will do the same for you, putting your name in front of their followers. You can also consider tagging them in your posts, but be sure that it offers value to their audiences such as quotes and industry related topics. Refrain from tagging influencers simply to promote your business or products. This is a big no and will make you appear spammy. Instead, remain hopeful in this strategy as influencer marketing can lead to new opportunities and amasing collaborations. Approximately 96% of visitors that come to your website are not ready to buy. In these cases, retargeting (or remarketing) is highly effective in having your ad content will “follow” your recent visitors everywhere they go online. This keeps your brand “top of mind” long after people leave your site. Retargeting is a paid tactic that places a tracking code on your actual website which then sets a tracking snippet or cookie on the browser of those who visit your site. You’ll foster repeat traffic, boost lead generation and increase sales using this strategy. Facebook retargeting is incredibly cost-efficient for your small business and simple to implement. 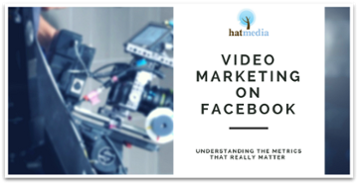 It’s highly recommended to getting more eyeballs to your landing pages and building your audience on Facebook. You’ll create custom audiences and tailor content specific to them for increased responsiveness. 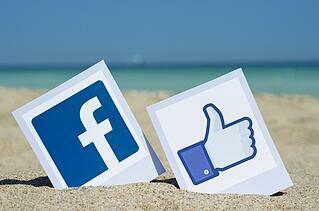 The final tip to bettering your Facebook marketing strategy is ensuring that you’re being social! People desire authenticity and transparency online. Personally engaging and reaching out to your followers further humanises your brand, making you real and relatable. Your fans will be more apt to interact with your content because of these personal touches. 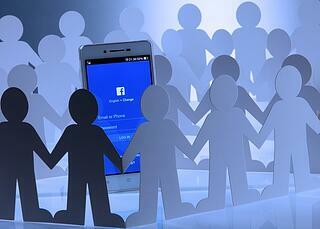 The results are in: having an active presence on Facebook is imperative for today’s consumers. They are looking to connect with you on their social networks and it’s important that you show up! Implementing these tips in improving your inbound marketing strategy will position your brand well on these sites. The key is to test your results so you can keep what’s working and modify what isn’t. 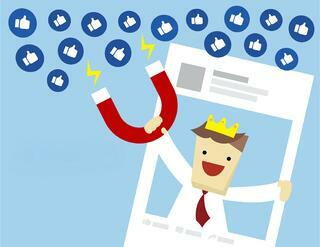 With consistency, you’ll experience the growth and engagement you desire on Facebook. Ready to craft a strong Facebook marketing strategy that improves brand awareness and lead generation? We're equipped to help! Reach out to us here and let's chat.